After your taxi accident, you don’t have to be at the mercy of big cab companies and insurers. A Seattle taxi crash lawyer can help you fight back. As a driver in a busy city like Seattle, you’re likely used to sharing the road with or using taxis. But what happens when you’re in an accident involving one of these cabs? You may not be sure of what to do, and the prospect of facing hefty medical expenses or property damage bills can be overwhelming. 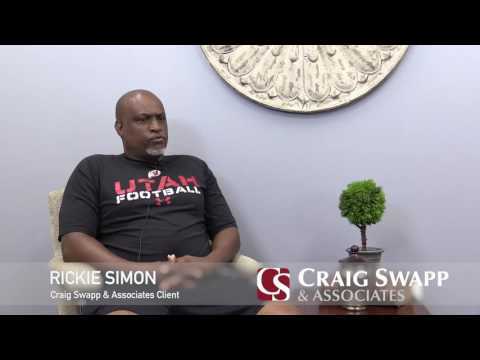 Our team at Craig Swapp & Associates wants you to know that you don’t have to handle the fallout alone. A Seattle taxi accident lawyer is here to help you file a claim against the liable party so you can recover the compensation you need. There’s a common misconception that all drivers share the same risks when they’re on the road. It’s not true. Those who drive for a living are at an even higher risk of accidents. And taxi drivers, in particular, face serious odds of being involved in a collision. To start, there’s the simple fact of how much time they spend on the road. Being behind the wheel that often only gives you even more chances to be involved in a crash. Additionally, they have an added incentive to drive faster than the speed limit or what is safe. This is for two reasons. The first is that they are only able to earn their livelihood when they have passengers in their vehicles. As such, they may try to rush through rides in order to pick up more customers and, as a result, increase their earnings. Seattle cab drivers may also feel a need to drive faster in order to secure better tips. Their passengers tend to give bigger gratuities when they get to their destinations faster. All of these factors lead to increased chances of being involved in a taxicab crash, whether you’re a taxi passenger or in your own vehicle. Whether you were a pedestrian, a fare, or another driver sharing the road, if you were injured in an accident involving a cab, you may have the right to seek compensation. However, because you’ll have to go up against the cab’s insurance company, you may need the help of a Seattle taxicab accident lawyer. These big corporations often employ multiple attorneys and have aggressive insurers. If you don’t know what you’re doing, it can be easy to get pressured into accepting a settlement that is less than what you deserve. Luckily, working with a lawyer can ensure that your rights are protected and that you stand the greatest chance of securing the compensation you deserve. If you were hurt in a taxi accident and want to take legal action against the liable party, our team at Craig Swapp & Associates is here to help you find success. Our team will work to make sure you have a viable case that leaves the insurance company or negligent party no choice but to give you the compensation you deserve. To schedule a free consultation with a Seattle taxi accident lawyer, give our office a call today at 1-800-404-9000 or fill out the online contact form at the bottom of the page.